You have a busy team and a busy diary to match. Your negotiators and listers do a high proportion of their work away from the office – they’re out meeting clients and needing access to their contact database, plus their deals and their appointments. Running several diaries, duplicate contacts lists and printing out schedules just doesn’t work. 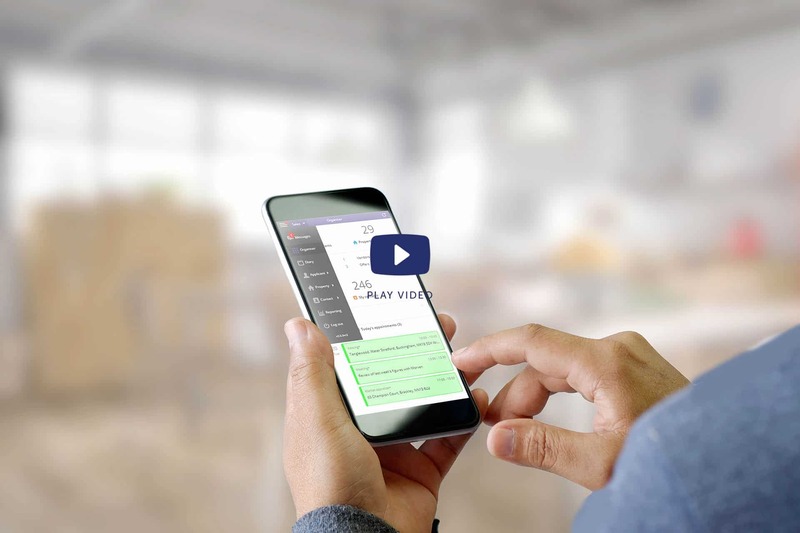 RPS Mobile gives instant access to your data from a mobile device – any work carried out using the app is instantly available to the whole user-base. It is an essential tool for your team out in the field, providing access to day-to-day functions for both sales and lettings users. 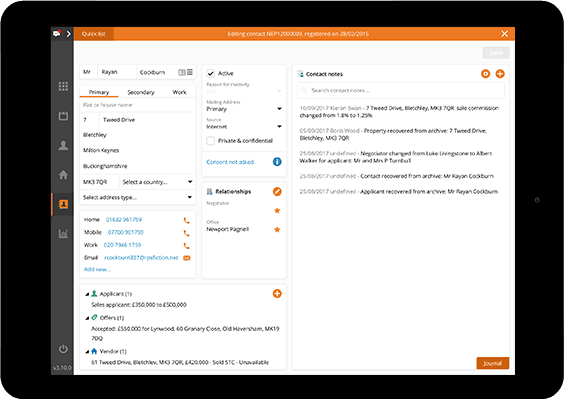 Functionality is focused around negotiator and manager tasks – from registering an applicant or adding a market appraisal property, to processing appointment follow ups, setting call reminders and tasks, and even running reports. When carrying out a market appraisal, use RPS Mobile to impress potential vendors and landlords by creating a list of live potential buyers/tenants that are searching for properties exactly like theirs. Get routine tasks done quickly – for example, after a viewing – the app can be used to record feedback immediately, arming the office with up-to-the minute information to keep your vendors and landlords informed. 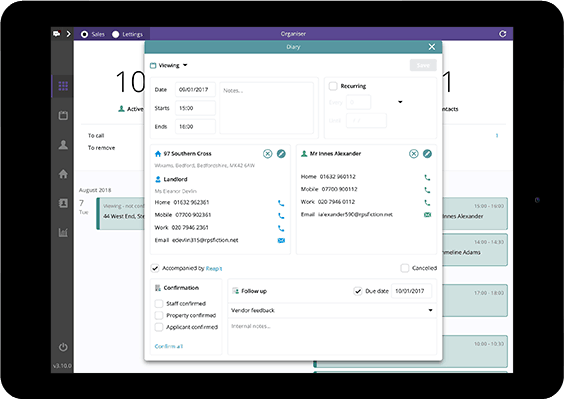 Use the RPS diary when out of the office for all appointment information, get visibility of your team’s whereabouts and book new appointments – after a viewing with an applicant, RPS Mobile can be used to book a second viewing, or a viewing at another property, right there and then. No need for a contacts list on your mobile device, access your full contacts database through RPS Mobile. A quick tap on a phone or envelope icon beside contact details allows a contact to be called or emailed from within the app. RPS Mobile contains familiar RPS terminology along with commonly accessed screens and functions. After creating a shortcut to RPS Mobile on a device, users are set-up and ready to go. RPS Mobile uses the same high-level security as the desktop solution. No client data is stored on a mobile device, only data relating to a user’s login. Safety measures are in place at source, such as auto-logout after inactivity and temporary lockout after incorrect password entry. In addition, as with desktop, a variety of infrastructure level security protocols are in place to prevent and minimise brute force attacks to the data centre.